kirigami cardboard lamp: that's funny ! This cardboard lamp is magic! It is made with KIRIGAMI. If you turn around the lamp, you'll discover different colors and lighting. A magic kirigami lamp! You can make exactly the same kirigami lamp with cardboard and paper! Only with paper and cardboard... it's amuzing and easy. 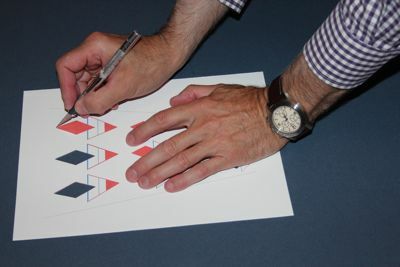 This video shows my kirgami lamp You'll understand what is kirigami and why I udes it to create this lamp. You'll discover how many hours this job needs and what are the major difficulties. Load my templates and my e-book with 64 pages and more than 100 pictures and understand my method. 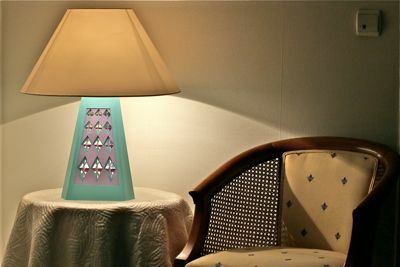 This Do It Yourself method will be helpfull to realize this kirigami lamp. Click on pictures to load the tutorial.